was also not entirely blue and contained an "&". 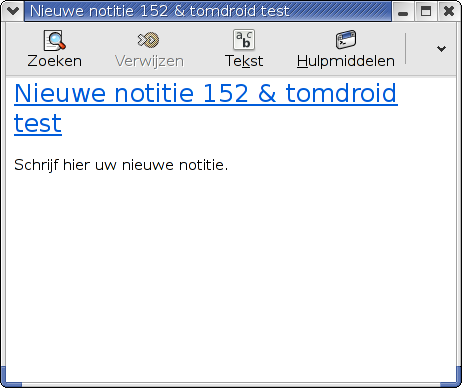 The title should be "Nieuwe notitie 152 & tomdroid test". 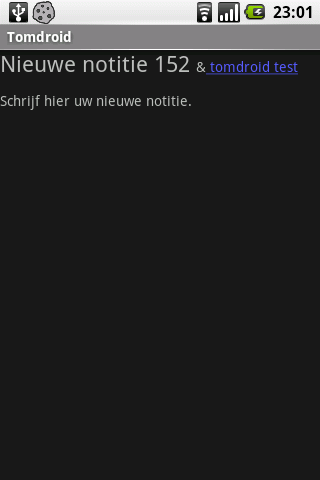 In the list it is just "tomdroid test". The blue link points to the note itself. In the main screen list only " tomdroid test" is shown. I was able to reproduce. I will attach the note I used to reproduce.